We would love to be part of your journey on the road to becoming a flight attendant. As one of the most respected online flight attendant training schools in the world we can help make your dream a reality! Prepare yourself for an exciting career and travel the globe, all while training at the world's top online Flight Attendant school and without leaving your current job. Have knowledge is our best advice! All successful and exciting journeys start with a plan! We encourage everyone to ensure they have the knowledge they need and that’s what our expertise provides. Inflight Institute certificate programs courses were specifically designed to provide leading edge knowledge to those who wish to enter the aviation industry. We also encourage our students to contact airlines and to find out who is hiring and what their hiring criteria is. Many factors play a part in you becoming a crew member. In addition to personality, ability, and customer service experience - knowledge is critical to your success. The Inflight Institute is designed to give you that knowledge. The Inflight Institute offers the first and most comprehensive initial online Cabin Crew training program approved for use by airlines! Become a Flight Attendant at our Training School and follow your dreams! Want to be a Flight Attendant? 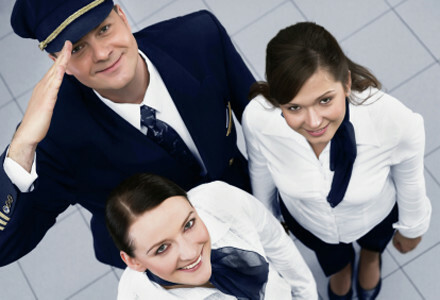 The Inflight Institute was founded to help people who are interested in becoming Flight Attendants – to prepare to fly! We know the importance of having a competitive edge in the very challenging world of aviation, a certificate of completion from the Inflight Institute can give you that advantage. 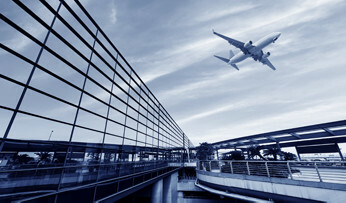 The Inflight Institute has developed programs that meet the regulatory standards set by Transport Canada – one of the strictest aviation regulatory bodies in the world. Member airlines gain a great advantage by selecting pre-qualified candidates from the Inflight Institute. It dramatically enhances the quality of their candidates while decreasing their classroom training time which saves them time and money. Many Airlines receive thousands of Flight Attendant applications a month. Make sure you stand out with a certificate from the Inflight Institute! Member airlines from around the world require all students to have a certificate of completion from the Inflight Institute. Even if an airline does not require a certificate it will provide you valuable knowledge that you need to help you succeed at an airlines ground school. FYI: Some airlines have up to a 50% failure rate in their airline's ground school… those are not Inflight Institute students but ones who were not prepared! If you are serious about becoming a Flight Attendant you can increase your chances of being successful with a certificate from the Inflight Institute. All airlines have different hiring criteria. The Inflight Institute's "smart application form" will tell you if you have any limitations that may prevent you from being hired by an airline. Fill in the application and if there is an issue identified the "smart application" will warn you before proceeding. Qualifications for flight attendants, which vary from airline to airline. For example, age restrictions vary depending on individual airlines and countries of origin. We have had students from 17 years to 60 years of age successfuly gain employment. Many airlines look for maturity and life experience in their candidates. Your experience, coupled with a certificate from the Inflight Institute could be your ticket to fly and do what you have always dreamt of.